“The truth… but not the whole truth” is one of the many characterizations I would attribute to Attorney General William Barr’s letter to congress regarding Robert Mueller’s now confidential (and soon to not be) report. This line is a direct quote from The Special Counsel’s report and is the only remark from Trump appointee Barr that gets into shady territory. Apparently, there is more shady business directly about Trump and his associates within the report. The ongoing battle for Donald Trump’s tax returns continues for democrats as the Chairman of The House Ways and Means committee, Richard Neal battles for the tax returns of the President. After a battle before and after Trump’s election, Democrats and some Republicans are intent on receiving Trump’s tax returns and using nearly and means necessary. Mr. Neal is considering using subpoena power in the effort of recieving these returns and this reality will most likely become more apparent in the coming weeks… but now that Mr. Trump is President, the legal battles get more complicated. When Trump was pressed on the issue, he said members and aides of The House Ways and means committee will “speak to my lawyers”. I, personally do not think that this committee will be successful in achieving these documents (at least within Trump’s Presidency) but only time will tell. As I’ve covered in the past, The Jussie Smollett Case is quite interesting. Kim Foxx, the States Attorney unexpectedly dropped all 16 felony charges in relation to The Jussie Smollett case. Jussie Smollett is forced to pay $130,000 for missing his original 7 day deadline to pay for the hate crime hoax. Even before Smolett failed to pay this money, outgoing Chicago Mayor Rahm Emanuel called the reality his lead prosecutor created as a “whitewash of justice” alongside Chicago Police Superintendent Eddie Johnson. Empire Actor Jussie Smollett has recently been arrested for filing a false report about a hate crime, according to The Chicago Police Department. The CPD informed the media that he was taken into custody just after 05:00 CST. He is charged with “disorderly conduct” for perpetuating the false hate crime. In the original report, Smollett alleged that two men, each wearing black attacked him and yelled racial and homophobic slurs while both wearing Trump Campaign Apparel. After three weeks of conflicting and urgent reports from prosecutors and the police department, the final update has been given Thursday morning. Anthony Guglielmi, Chief Communications Officer for The Chicago Police Department, said the State’s Attorney office had approved a felony charge of disorderly conduct against Smollett. 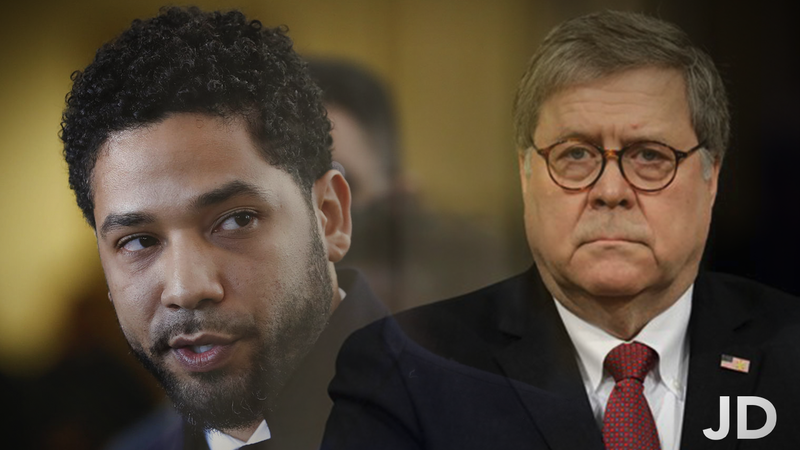 Later, it was also made public that Smollett issued a payment to these men for $3,500. Stay tuned for all of the latest news, politics, commentary, insight, and analysis by signing up for The Doherty Files newsletter. Stay tuned for an episode tomorrow. Please stay informed and sign up for the newsletter… two seperate requests.